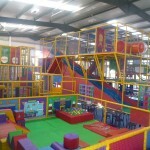 Kool Kids Activity Centre features an amazing 10,000 Square Foot facility including a 24 ft rock climbing wall. 3 level area with multi-activity throughout. Ball pools, rope bridges and swing ropes. Large Party areas allowing for large and small parties to be catered for. Comfortable cafe overlooking the play area with an adult and children’s menu available. 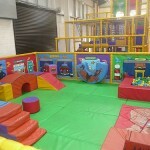 We have a baby area available for 3 year olds. 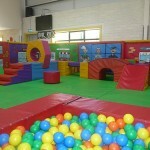 This soft play area is for those uncertain under 3’s and includes interactive equipment for learning and experimenting. 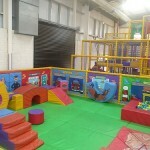 Kool Kids is a child friendly facility offering children a chance to have fun in a purpose designed and built playfgrame. It is sound interactive providing stimulating and physically challenging play for your child. 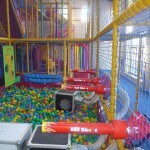 The toddler area for 3-5 year olds includes a slide with 3 levels and a ball pool. To find out further information about our facilities or speak with one of our staff at the Kool Kids Activity Centre, please feel free to contact us. Feel free to get in touch if you have any ideas, suggestions or queries for us.